Show your love for our organic products, and be stylish at the same time! 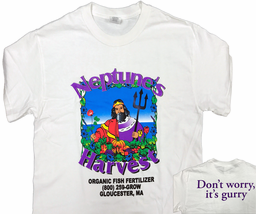 This Neptune's Harvest t-shirt features our beautiful multi-color logo in front and "Don't Worry, It's Gurry!" on back. 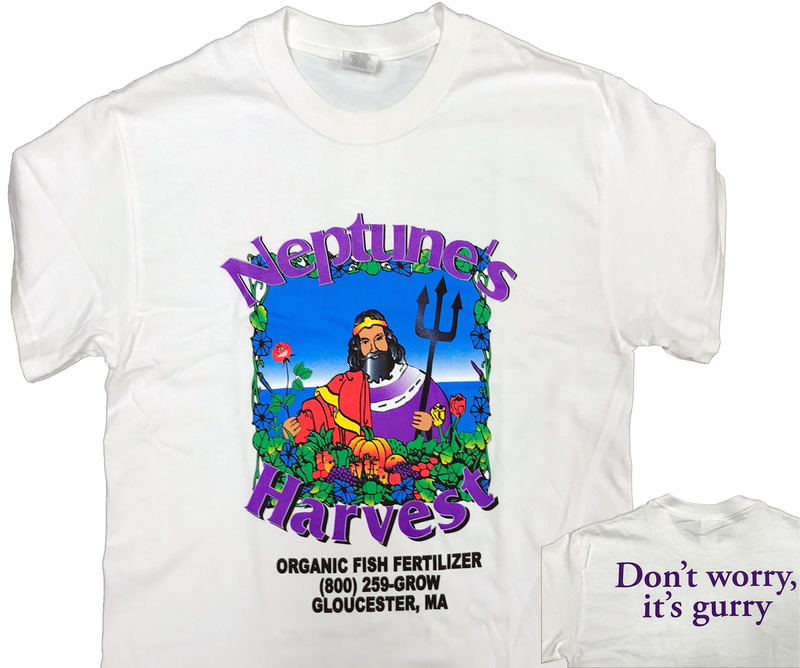 Only While Supplies Last, get the limited release "Don't Panic, It's Organic!" on back.